So today’s post is going to be about how to grow long lashes. 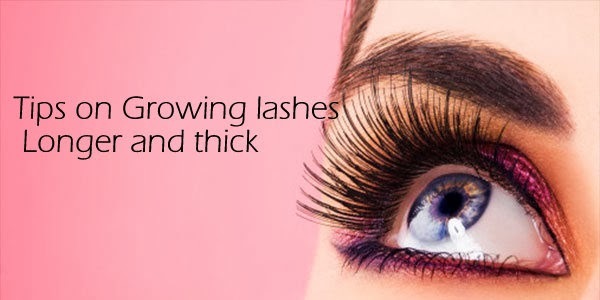 Believe it or not we all have wanted naturally healthy thick lashes at least one point of our lives, we would tried various ways on how to grow them fast within a short span like a week. Some of you lucky ones are naturally lesser with full, thick long and luscious lashes but some do lack in that department like me. This post will give you tips on how to freakishly grow them but grow them naturally. Hope you enjoy! Seems like what? Really? But your eye lashes is hair too and brushing them everyday perhaps with an eye lash comb that you get in the makeup brush sets. Coming them out stimulates hair growth and it’s an easy tip too right? I mentioned this in my post about the various ways to use Vaseline which you can read HERE. Applying a little bit of Vaseline with a Qtip on the base of your lash line before bed every night will stimulate growth too. This is takes a while to show results but eventually does. It’s true but certain mascaras such as the rimmel London lash accelerator helps to provide growth to your lashes while making them glammed up for your day. This is why you find such mascaras slightly more expensive than your traditional mascaras. Try it out! Read about the various uses of coconut oil HERE. Use it just like the Vaseline before bed to see improvement in your lash growth. This also strengthens your lashes so that they fall out less frequently.